Stepfanie Kramer is an American actress who redefined the way women were seen in crime drama television shows. She landed the iconic role that did the magic in 1984 as the tough-minded detective, Sgt. Dee Dee McCall on the NBC TV series Hunter. Though the show started on a rough note, her impressive performances therein gave it the needed boost, establishing it as an international hit. Besides acting, she is also noted as a writer, director and singer/songwriter with two albums and numerous successful performances to her credit. Here are other things to know about her. Born Stepfanie Lyla Kramer on the 6th day of August, she was raised in Los Angeles. Her father, Oscar was a violinist and classical train conductor while her mother, Grace, was an accomplished artist and former model. She has a Native American descent from her mother’s side. Growing up in an artistic household provided the right atmosphere for her abilities to blossom. Thus, she put her creative environment to good use and focused her energy on performing. She learned how to draw and paint as a child and has been doing so ever since. Added to her artistic abilities, her intellectual capacities led her to explore other ways to express her artistry. She trained as a Mezzo Soprano with extensive theatre and musical credits. She attended Chatsworth High School, California and graduated from the American Acadamy of Dramatic Arts after which she went on to forge a highly successful career in the entertainment industry. Moreover, she would later teach in the Academy as a guest instructor. Her professional career took off in the late ’70s while she was still in school with guest roles in several TV shows. Some of them include Starsky and Hutch, Dynasty, Bosom Buddies, and Knots Landing. She then starred in the medical drama Trapper John, M.D. (1981-1982) and the NBC sitcom We Got It Made in 1983. After guest starring in several other shows, she landed her breakthrough role as Sgt. Dee Dee McCall in 1984 in Hunter. The NBC series also starred Fred Dryer in the titular role as Sgt. Rick Hunter. It became an instant hit around the world and ran for seven seasons until 1990, six of which Kramer appeared in. 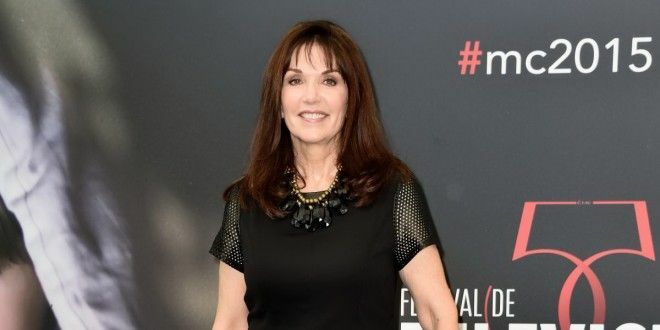 Besides helping to change the way women were seen in crime dramas and becoming a positive influence to the womenfolk via her iconic role, she also landed other roles behind the camera while on the show. She wrote, as well as directed for TV episodes and also started work on a rock album in 1986 with the music scorer for the show. Stepfanie Kramer later reprised her role in two Hunter made-for-television movies; Hunter: Return to Justice (2002) and Hunter: Back in Force (2003). After she left the show, she moved to England where she started recording an album with the hope of releasing one but that was not to be. Nevertheless, she continued to write music and working in the acting sphere and eventually released her first album titled One Dream in October 1999. The 10-song album was a true mark of her musical prowess as it contained mostly original songs. On her second outing, The Great American Song Book (2008), Kramer covered 14 classic songs which she recorded live in her one-woman cabaret show performed in venues across the US. That same year, she also represented the nation at the International Music Festival in Queretero, Mexico. Following her Hunter days, Stepfanie Kramer appeared in several TV shows and movies. Some of them include Twin Sisters (1992), Beyond Suspicion (1994), NBC’s Deceived By Trust (1995) which was rated the network’s highest-rated film of the year and starred in Thrill (1996) and the indie film The Dogwalker (1999) which received rave reviews and was lauded in several film festivals. She was last seen on the big screen in the 2006 films The Cutting Edge: Going for the Gold and Ground Truth. In 2011, she guest appeared on Pure Flix’s internet series called The Encounter. She also appeared in a 2012 episode of CSI: Crime Scene Investigation and was featured last in a recurring role the same year on the CW series The Secret Circle. Kramer is now focused on co-writing and developing a number of projects in both TV and feature films with notable writers/producers David Chisolm and Chip Hayes. Additionally, she continues to sing and perform across the country and beyond. She has also received a number of recognition and awards for her impressive career on the screen. Kramer won the Outstanding Performance by a lead actress, was honored by the First Americans in the Arts Awards in 1995, 2002 and 2003, as well as emerged as an Icon of Television at the 56th International Television Festival in Monaco in 2015. Moreover, she was nominated for a Daytime Emmy in Special Class Programming for hosting the Macys Thanksgiving Day Parade. Although her acting days are firmly behind her, Stepfanie achieved laudable success while it lasted. According to Celebrity Net Worth, she has a net worth of $2 million. During the heydays of her career, Kramer got married to Mark Richards in 1992 and moved to Colorado. Two years later, they welcomed their daughter, Lily Claire Richards. Their marriage, however, ended in divorce in 2001. Stepfanie Kramer dubbed her daughter the greatest production she has ever been involved in. Lily is what a chip of the old block talks about. Like her mother, she is also very artistic and highly talented. She also acts, writes, and directs. Kramer’s height measures 5 feet 6 inches (1.68 m). She has dark brown hair and a pair of brown eyes with a slim body build and a body mass of 57 kg (126 lb). Her other body measurements include a bust size of 33 inches, waist size that measures 24 inches and hip size of 35 inches.